We have been madly getting organised for new scrapbooking and cardmaking classes that start next week, planning, photographing, writing, printing packing and ordering. Yes, you heard right… “we”. I am delighted to say I am permanently adding to the team with a new staff member (it seems there are so many these days) and her name is Kira. I was spoiled for choice as there are so many lovely ladies out there who would love a position at my little shop, stay tuned… there will be another one added soon. 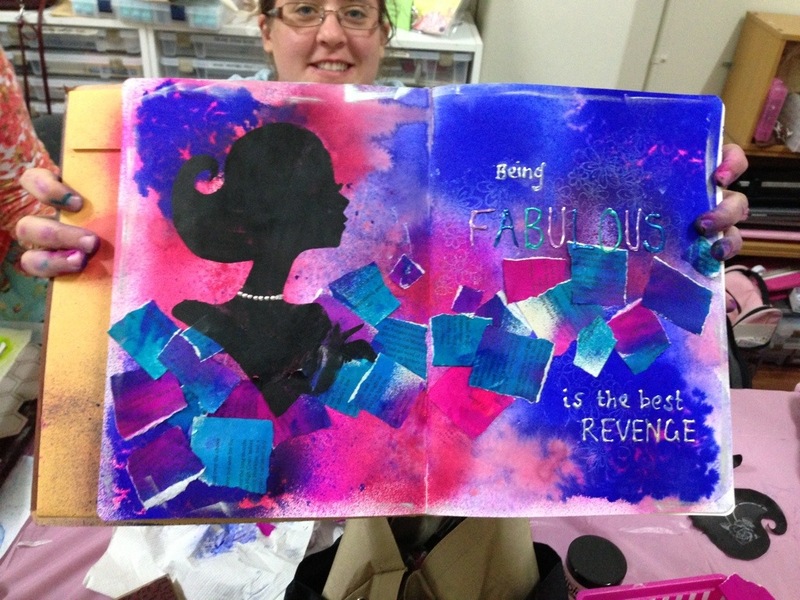 Kira is a cardmaker and scrapbooker with a lovely personality and will fit in just fine and I just know the girls in class are going to love her. 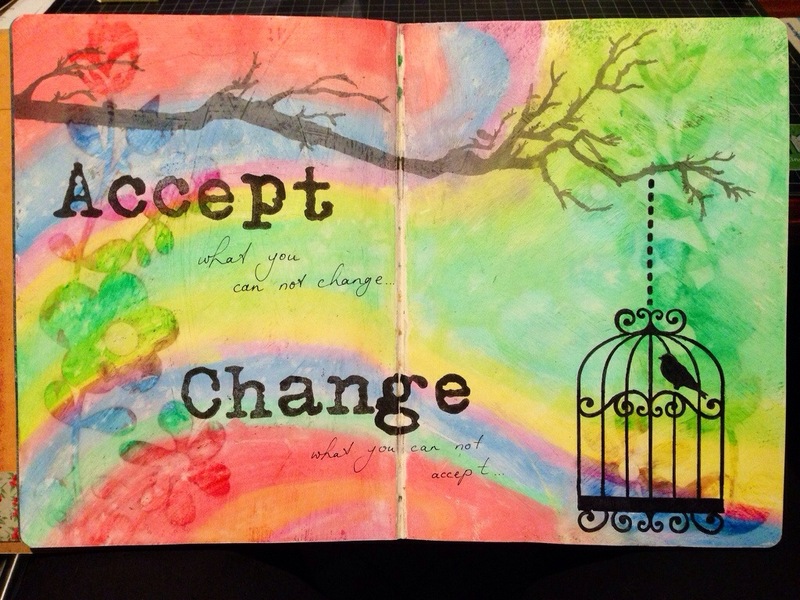 So… no more ‘going-it-alone’ for a while for me, as much as I loved it. Working too much, even if you completetly love it, is not what life is all about and I have to learn that I just can’t do it all, and let go of that control freak inside me. Wanting to do it all.. all of the time. I am actually very excited about this. 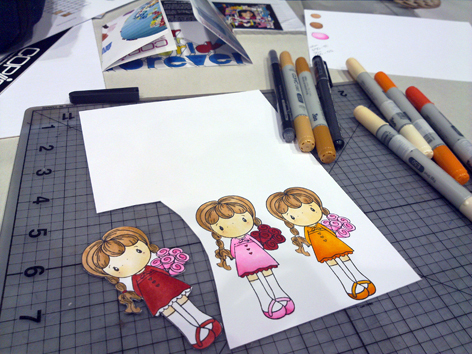 My designers are working hard to bring you the best in cardmaking and scrapbooking classes and have the Term planned out. But wait… what’s this? CHA is on in the US at the moment… and the new products are being released. Oh my oh my~! I can’t wait for the yumy new stuff to hit our shores. 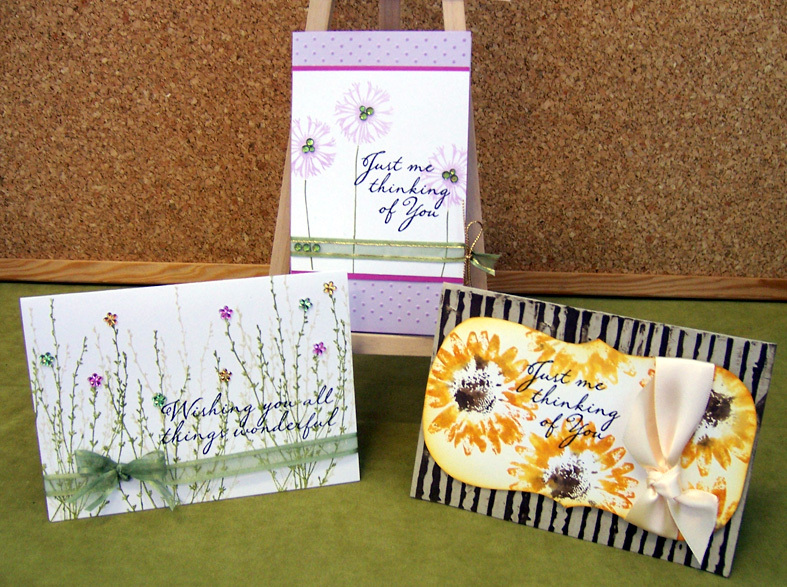 Prima has done it again… with delicious new flowers, centres, stamps and more. There is over 200 pages in ther new catalogue… I am almost grateful that I do not have a copy. I would be flat broke. I love it all! The new Basic Grey stuff is awesome.. but when do they ever fail to deliver? Their stuff is always (well pretty much) going to be a hit. Love their 4 new ranges, wish now I hadn’t got so much of the latest one as I think when the new ones come they’ll take centre stage. The card classes use lots of Hero Arts Stamps.. and I have been waiting for the new ones… holding off ordering till these were released… and here are the clear stamps. There are Clings and Wooden ones too. So… I haven’t put my order in yet.. but if you want to preorder any of these email me at scrapbookhouse@westnet.com.au, or give me a call 99648288 (we can take messages after hours too) or best yet… come see me! Now have a look at these… Lubbly!~ I just love new stuff, don’t you? Anyone use Copic? I did this class and learned to blend and colour with these groovy pens. 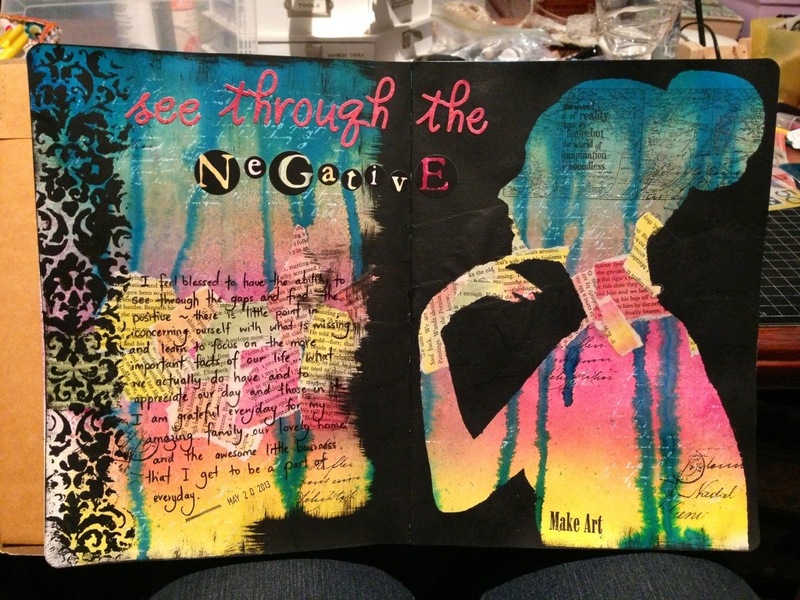 While I loved what I did, I still love my watercolours. Funny how we get attached to our favourite techniques. The biggest trouble I can see is that I will require too many colours, needing to have each shade and then the refills too. I can see this emptying my purse very quickly, so I am not convinced in stocking them yet. Think they are cute? The blending technique you can see is the shading of colours, most noticeable on the shoes and dress, where there is a darker shade. 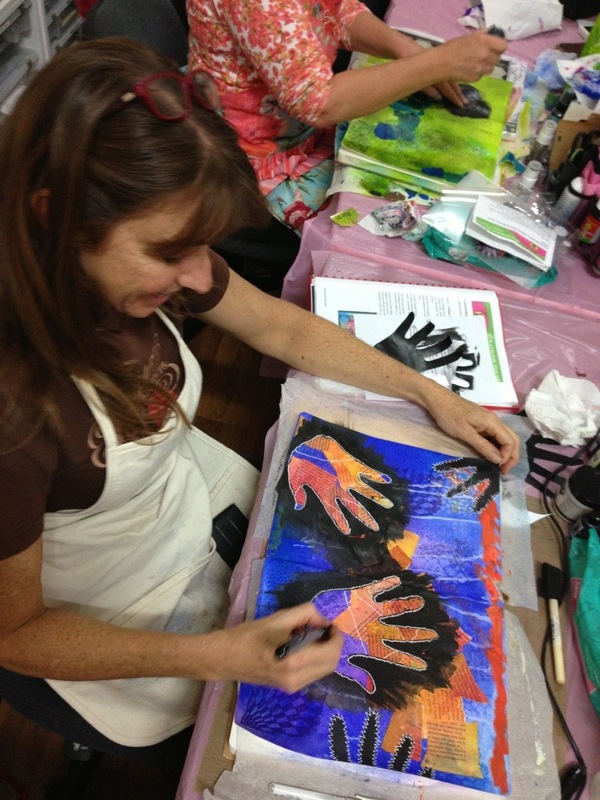 We have classes at The Scrapbook House every week, and each week it’s something different. 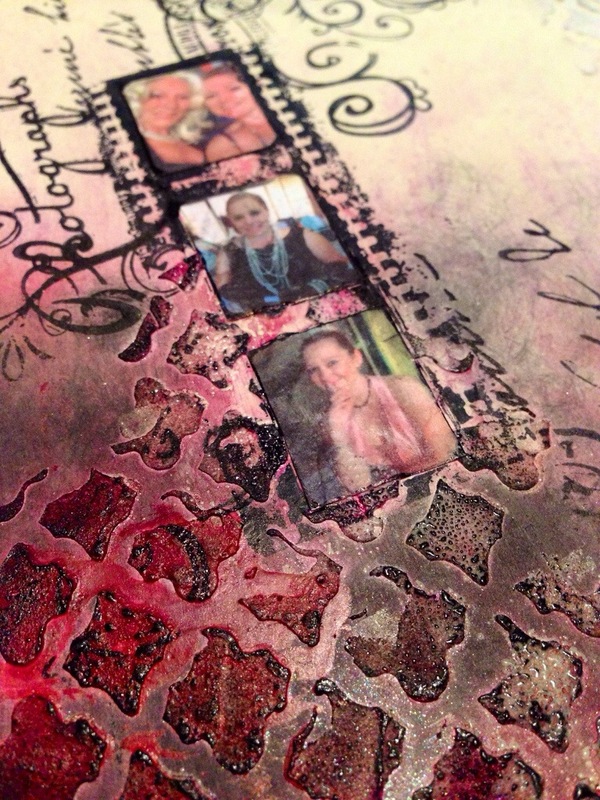 We teach Scrapbooking of course, but also cardmaking and off-the-page projects too. 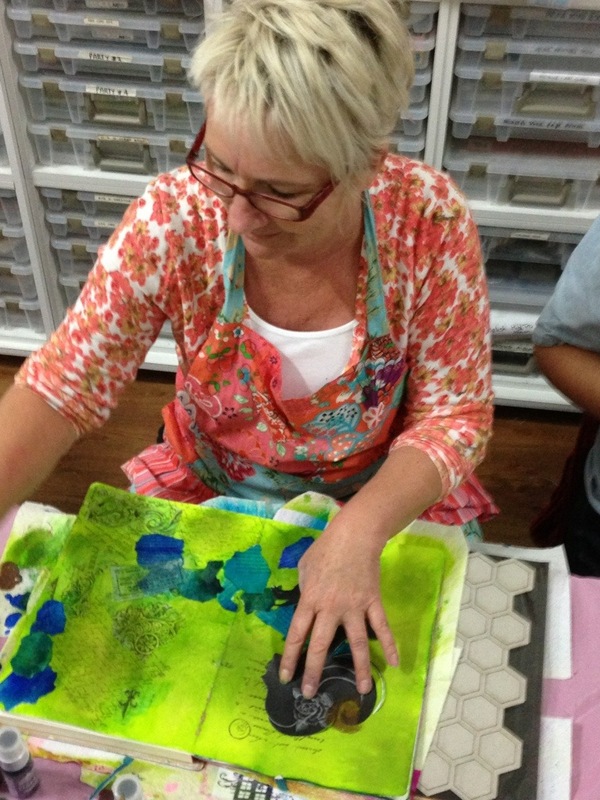 Our samples are usually up in the workroom. Here’s a look at this week. 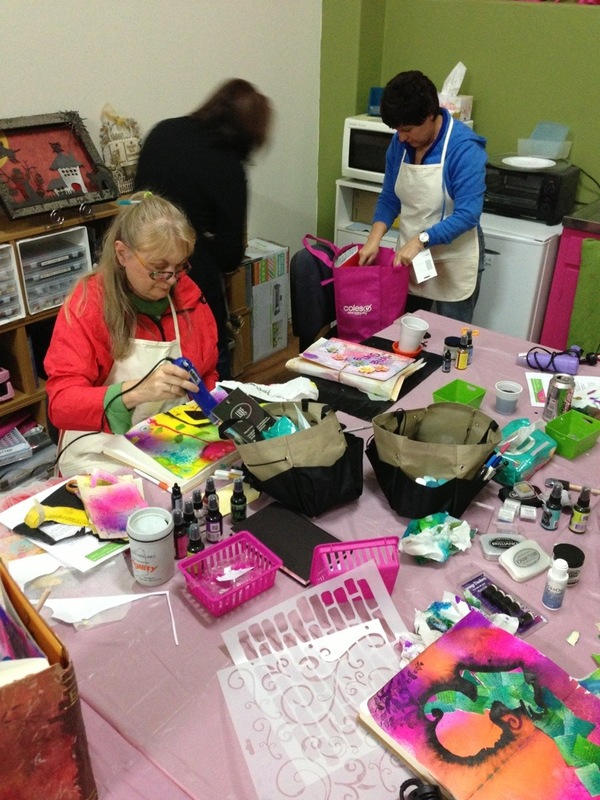 Tuesday we had Scrapbooking class, (there are 3 times for this class to suit everyone). 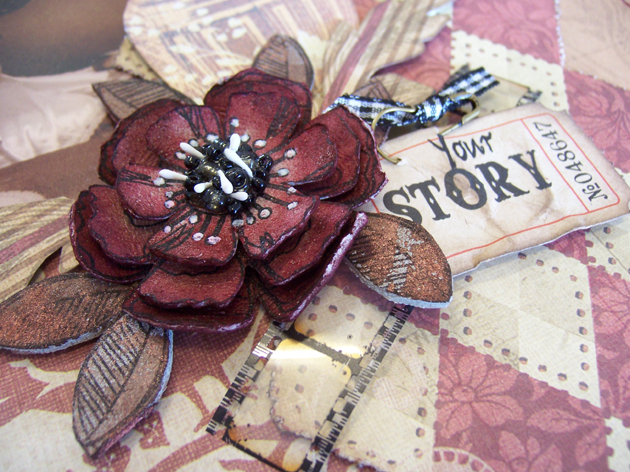 This week we created a flower from Grungeboard and added it to a lovely vintage looking page designed by Nat Perks using 7 Gypsies. It was time-consuming but totally worth it and each and every one looked beautiful. Our Wednesday class yesterday was learning to make these great little gift bags, boxes and cards using the Crafters Companion and decorated using the Cuttlebug. 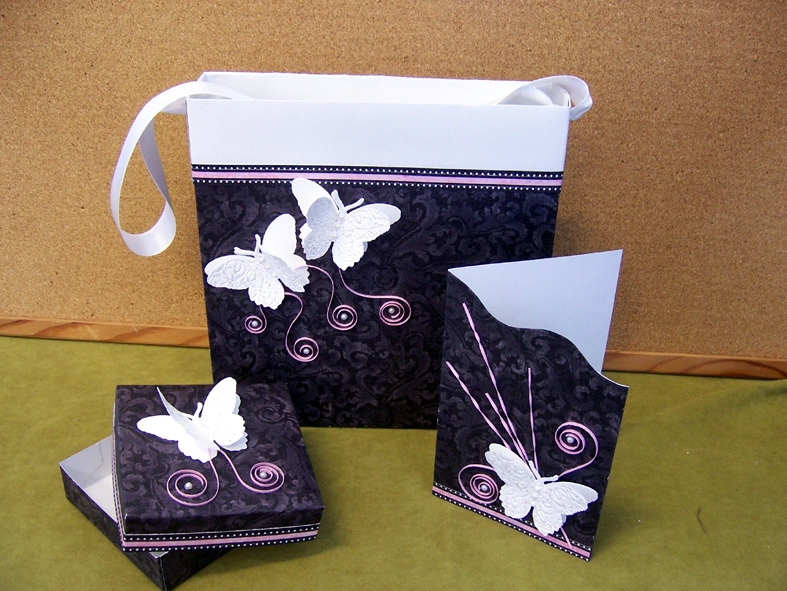 These were made from 3 sheets of scrapbook paper and a bit of white card for the butterflies. Everyone went home with a set. How sweet. 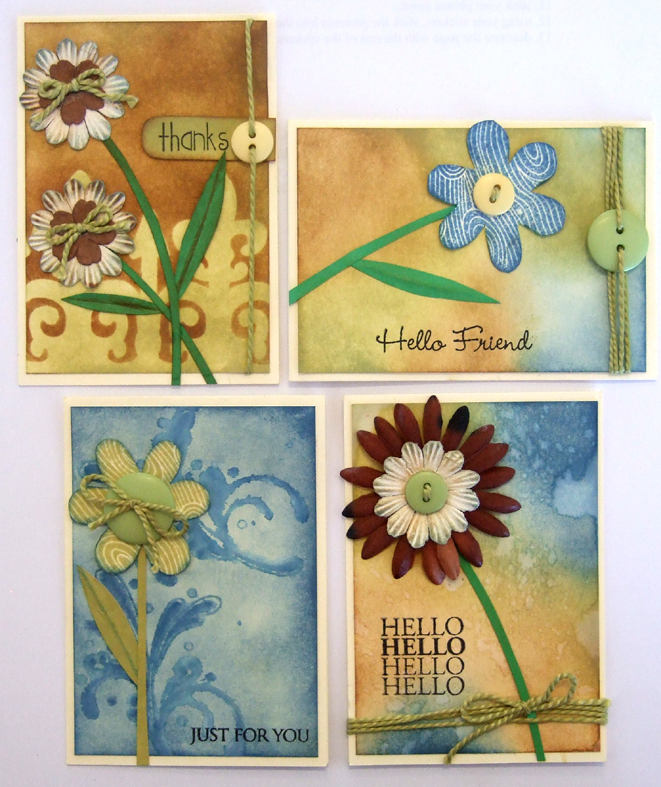 Next week we are making 3 gorgeous cards using Hero Arts stamps, distress inks, chalk inks and a little bit of cuttlebugging too. There’s a couple of different techniques we want to master with water misting and distress inks to create lovely watercolour images. 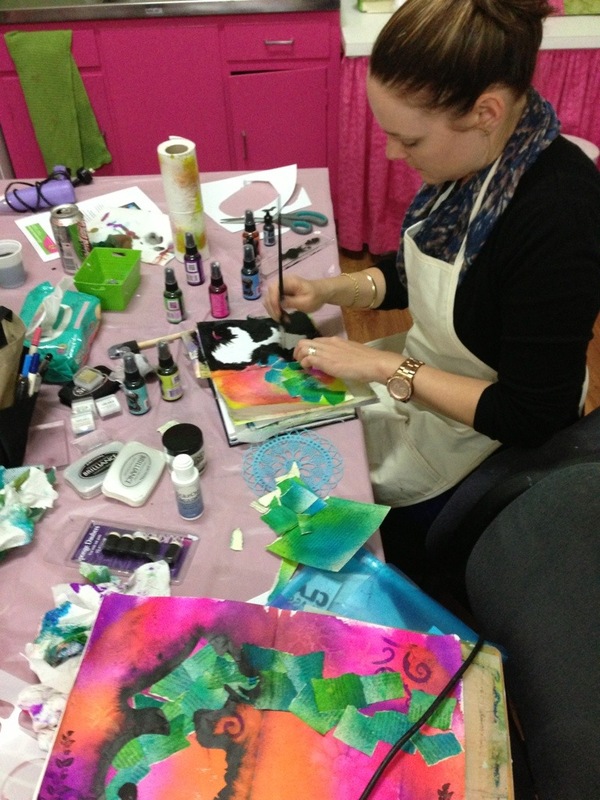 The Thursday night class is also using Distress Inks (can you tell they are my absolute favourites?) 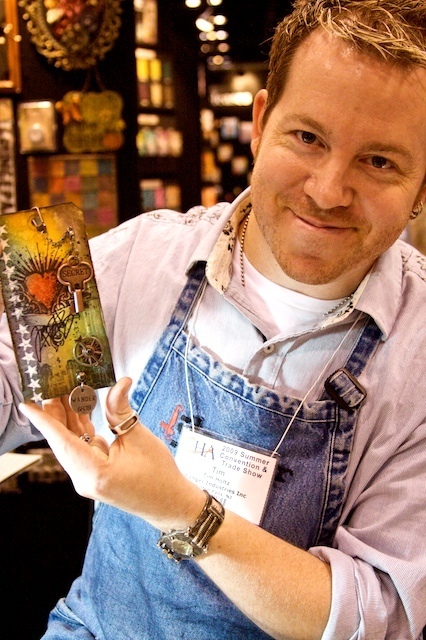 We are making 4 notecards, each with a different technique. There’s always more, and each week we come up with something new, come by to see our displays. My desk is chock a block full of cardmaking stuff… it’s overflowed onto the bench behind me and I’ve filled up the trestle table we brought in. I have been under the pump to get these cards designed for the upcoming term and finding creativity difficult when it’s so noisy. I hoped when the kids went back to school and ‘normality’ set back in, I would be a goer again. 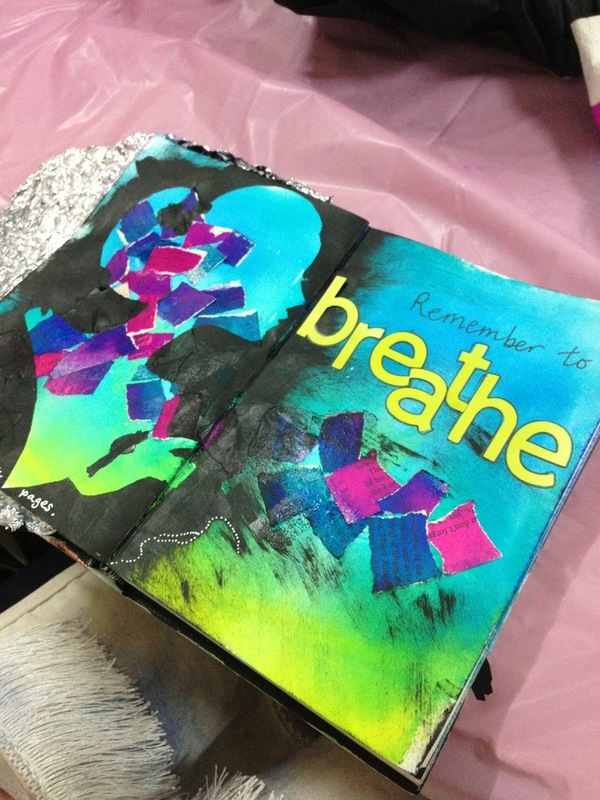 I love what I have done so far, but I haven’t finished. I will, I just have to stop procrastinating and DO IT. Here’s the first card series for this term, Wednesdays, teaching watercolouring along with a whole lot of other basic stuff. 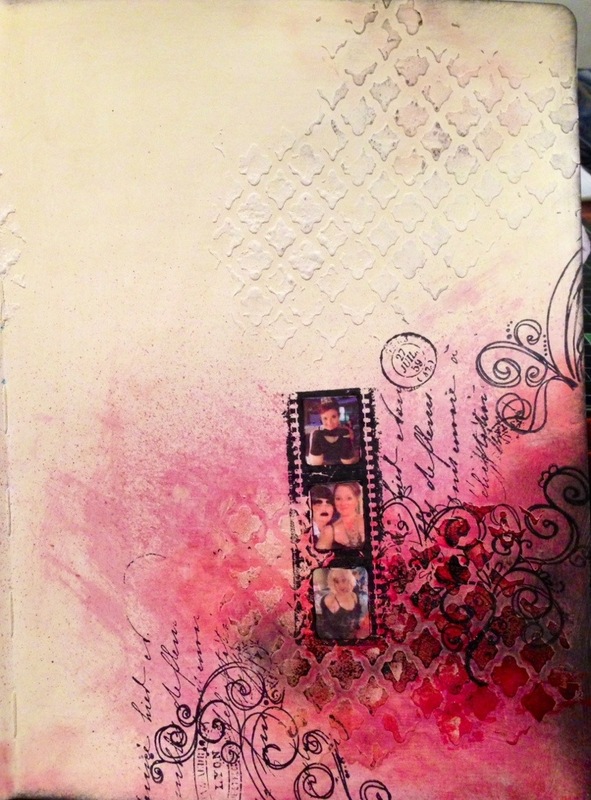 I love that we are using the new Hero Arts stamps and the new embossing folders by Cuttlebug. Oh my goodness, I can do a whole term of classes on the new stamps and folders, I have to hold myself back. 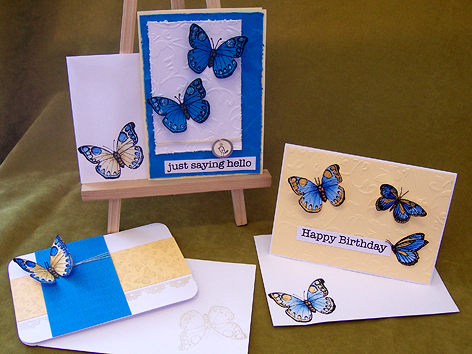 If you are interested in a couple of hours of cardmaking fun you can still book. There is room in the morning class for one more, and plenty of places in the afternoon class.